Franke Evolution Coffee Machine | DSL Inc. 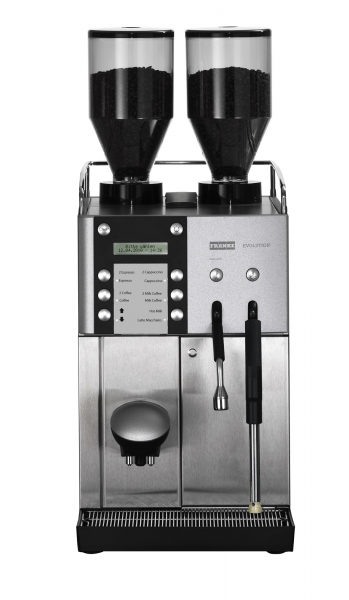 The Franke Evolution Makes you the Expert Coffee Crafter! Power meets compact with the Franke Evolution. 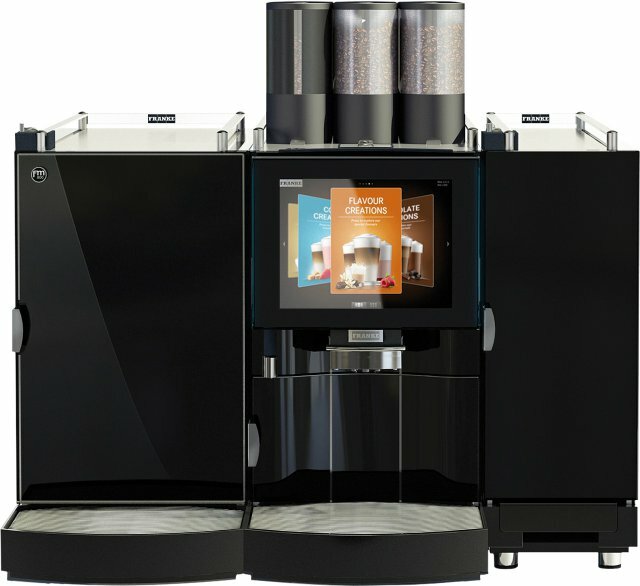 With all of the features you would expect from a high end coffee machine, the system also fits into a manageable countertop footprint. 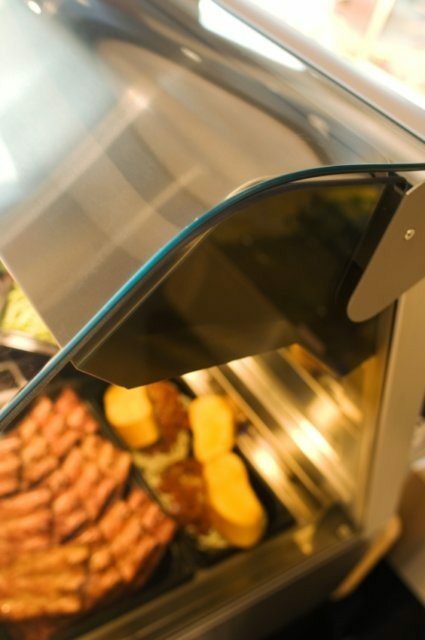 The bean hoppers can be easily removed and without additional tools thanks to the integrated slides. The large, clearly arranged product buttons can be individually programmed and labeled. Whether in self-service operation, with a max of 6 coffee products or in the operated version with up to 20 different coffee products, you’re always in control. Thanks to the continuously adjustable outlet height from 85 to 170mm, all the popular cup sizes and containers can be used. 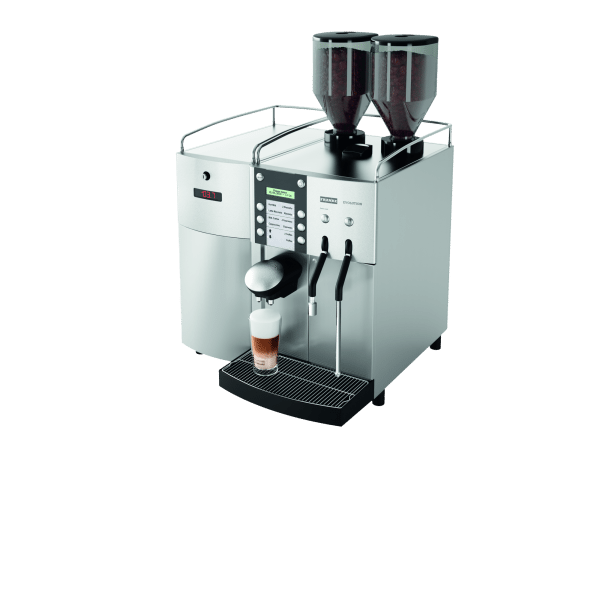 The optimized coffee supply and the combination outlet guarantee that the coffee is always at the right temperature and that the cups are evenly filled, even when using the double dispenser system. The automatic rinsing and cleaning program for the coffee and milk section simplifies the maintenance and care of the machine. The dispenser is easy to remove and can be safely cleaned in the dishwasher. This ensure optimum hygiene and a consistently high coffee quality. HACCP conformity is guaranteed. 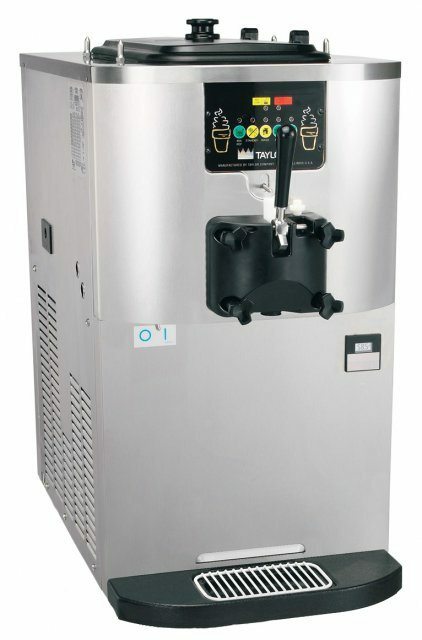 Want to automate beverage preparation while still being able to foam milk manually? The 2-Step approach incorporated into the Franke Evolution lets you do exactly that. The beverage and milk are prepared separately, and then mixed manually by hand in the classic way. 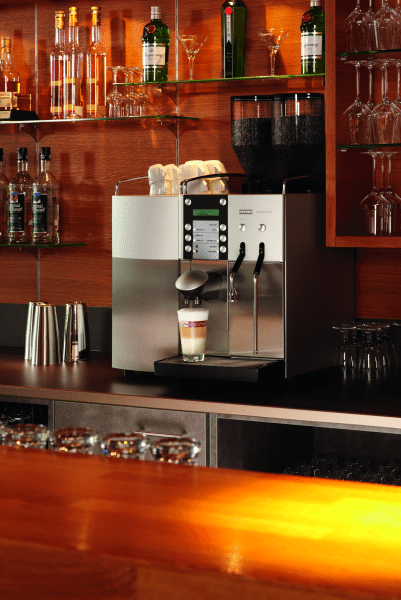 With the intelligent milk system, Cappuccino, Lattes, Macchiatos and hot and cold milk are whisked into your cup in an instant. The outlet system jointly dispenses milk, and its sequence is fully programmable.